Where to get your Sugar Craving anytime! *Gasp! *Marvel *Be in Awe. What you see is real, not like unicorns, ligers, or bears…wait, bears are real. It’s a cupcake ATM! Sprinkles! Cupcakes Bakery offers unique flavors and a not so overpowering sugar balance with a (BONUS!) 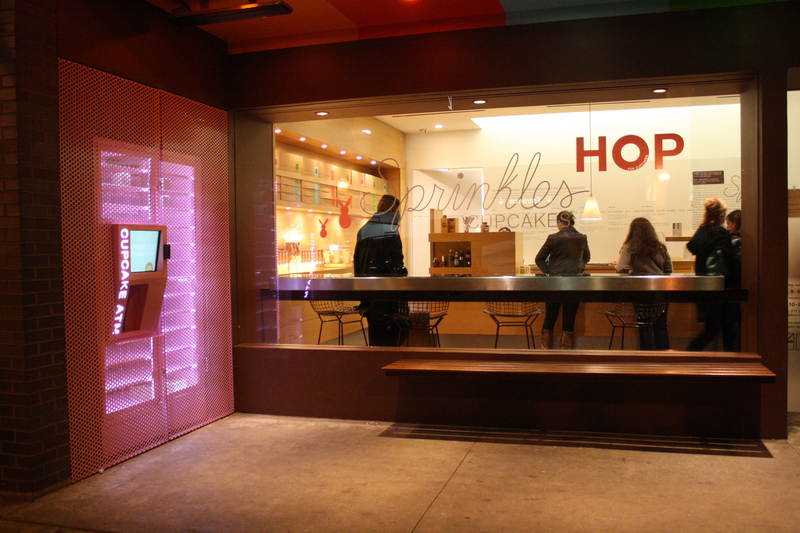 24 hour cupcake ATM machine. Remember at 4 am when you woke up in a cold sweat craving a red velvet shot in the arm? Yeah, us neither. However, we sure have wanted a cupcake at 10:30pm after a jaunt to concerts in Millennium Park. And wouldn’t you know it, cupcake ATMs draw celebrities in too. Gary Sinise, of Forrest Gump and CSI fame, walked by us last time. He didn’t stop for a cupcake but that’s probably because the line was off le chain, as the French say. In retrospect though, the Key Lime, Chai Tea and Red Velvet cupcakes made it worth the agonizing wait. You shoulda stayed, Gary! You can find this beauty 24 hours a day at 50 East Walton. 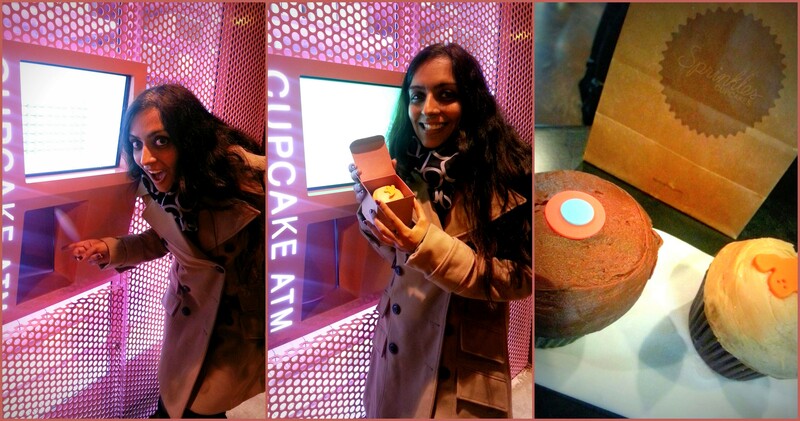 Wow, cupcake ATM! I wish they had one of those near where I live (south florida)…. Maybe someday soon! Sprinkles started in LA. Why shouldn’t they go somewhere else warm?